Announcement Helene's Dreams is now called Horse Creek Jewelry. Thank you for your patience as I transition all of the name changing. Come see what's new on Instagram @HorseCreekJewelry ! If your interested in a custom order please contact me. I am now located in a open studio space here in Bend, Oregon at the Willow Lane Creative Artist Space. Stop by and visit sometime! Most of my items are made to order except OOAK items. Please allow up to 14 days before your order may ship. Thank you!! Helene's Dreams is now called Horse Creek Jewelry. Thank you for your patience as I transition all of the name changing. Come see what's new on Instagram @HorseCreekJewelry ! If your interested in a custom order please contact me. 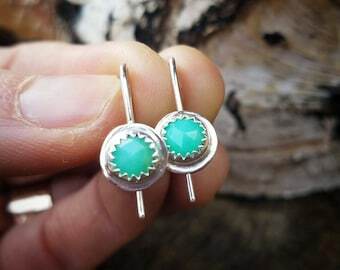 Turquoise Fringe Earrings. 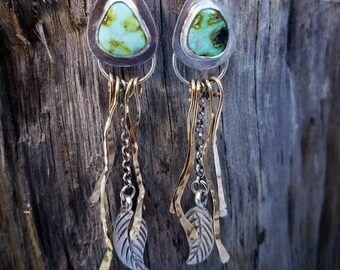 Sonoran Gold Turquoise Mixed Metal long dangles. Metalsmith handmade. Boho Cowgirl Style. Gold and Silver. Turquoise Fringe Feather Long Dangle. Mixed Metal. Cowgirl Native American inspired. Metalsmith handmade. Fathers Necklace - Men's Dog Tag necklace. Rustic hammered organic oxidized custom hand engraved personalized men's jewelry. As always Helen does not disappoint! She is what Etsy was created for. I am a repeat customer and will purchase from again. She cares about her customers - you are not just a transaction number. The earrings are beautiful but did take some time to get to me. Worth the wait and I look forward to pairing with my favorite faceted labradorite butterfly necklace. Thank you. Taking custom heart orders for Mother's Day now! Sonoran Gold Fringe Earrings now listed! Blue sapphire studs just listed! Gorgeous winter wedding jewelry! In the 10 years of selling on Etsy, I have been living the dream of being a maker. ... handcrafting jewelry in recycled, reclaimed gold, silver and natural gemstones. Each piece I meticulously create by hand with heart and soul, love and good energy. My hope is to pass on a momento made to make you smile and feel joy. The earth's soul is one of my greatest inspirations. I am surrounded by a vast amount of natural beauty and much of my work reminds me of simple colors and the life force I see and greatly feel here around me. I honor the earth and it is important to recycle, reuse and to find as much of a balance as I can. I source ethical suppliers to the best of my ability. In this last year I have stepped out of my home studio and am now working in a open studio with other artist. We are located at Willow Lane Creative Artist Space at 400 SE 2nd St. Ste. 2 in Bend, Oregon. It's been an amazing experience and I am excited to meet my customers in person! Please stop in and say hello! I am thankful to all of my customers, friends and family, and most especially my husband, Chuck, who has believed and supported me in my endeavors and dreams to be where I am with my business. I am honored and grateful to do what I love and to be able to share it with you. Thank you for your business support. For it is you who changes the world. The pursuit of a dream is really the experience of the journey, which is the blazing and carving of a path that builds strength in your soul and endurance in your heart. Never ...ever.... give up. How long does it take before my order will ship? Most items are made to order with the exception of the OOAK jewelry pieces. Made to order items can take up to 5- 14 days depending on the work load I am experiencing and the item that is being made. In some cases I do have to order more material if needed to complete your item as I do not store higher end gemstones and gold in my studio. If you need something sooner please contact me right away. Unfortunately, I can not refund custom made to order items that are personalized. It is very important to have the correct size as some items are not resizable especially if there is personalized wording and or flush set gemstones involved in the piece. If I am able to re-size the item I do charge a fee of $35 - $50 depending on the re-sizing job. 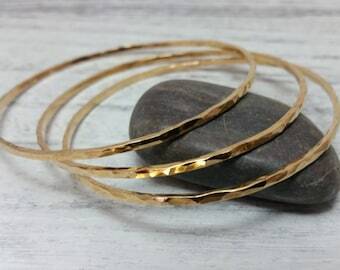 Sterling silver and gold filled jewelry can tarnish which is a natural reaction for these types of metals. Most local jewelry stores will carry quality polishing cloths or chemical dips to help aid you in keeping your jewelry shiny. I recommend that you take heed when wearing jewelry that has gemstones and remove them when doing dishes and manual labor. Silver, gold and gemstones although are natural materials ..they are still prone to fractures, scratches and breakage if worn carelessly. I take pride in making my jewelry with high standards and I hope that it will last my customers a very long time. However, care must also be taken on the customers part to protect the jewelry from damage and hard wear. Each piece of jewelry will be sent in a beautiful recycled material gift box ready for giving. If you would like for me to include a "special intention" hand written note in the box, please leave a note in the message box to seller during the checkout process. I am open to wholesale opportunities given that I am able to reproduce the item within reason. Please contact me for more information. Can you make something unique and special? Sometimes I can!! Most of the times I do! It certainly does not hurt to ask me. If I can do it, I will be glad to give you a quote. If not, I will be honest and let you know. Well, back in the day I went to college and graduated with a BS in Dental Hygiene sciences. I love working with my hands but not on people...so I decided to practice metalsmithing instead. I am primarily a self taught metalsmith who took a few college classes in metalsmithing and traveled the country to learn in work shops by some amazing teachers. I have been selling my work on Etsy for nearly 10 years working raw metal material with my own two hands. I enjoy what I am doing but I only have two hands...so your patience is greatly appreciated. Thank you. I have no problems sending items to Canada, Australia and most of Europe. Most items can ship to these destinations with insured 1st class parcel mail. Other countries do not include insurance and can be considered a RISK that you will take. Please contact me first if you are not sure if I can ship to your country so we can discuss the options that most safe for you. Thank you.